Like many people, Luke Perry’s death at the beginning of March had a big impact on me. There have been several celebrity deaths over the last few years that have made me sad enough to shed tears (including Robin Williams, George Michael, David Bowie, and Alan Rickman to name a few), and Luke’s death was no different. I was only six when Beverly Hills, 90210 started, and while I didn’t watch it until I was older, I was always aware of it and the actors. In the days and weeks after his death, my social media feeds were full of pictures and stories of Luke. Whether people had worked closely with him or had only met him once, he seemed to leave a lasting impression. The general sense I got about him was that he was kind, generous, thoughtful, a true professional, and also a true gentleman. The stories made me smile and cry, and really got me thinking. Luke was only 52 when he died, and yet it’s clear his memory will live on through the people who knew and loved him, and those of us who just felt like we knew him. A few days after Luke's death, on International Women’s Day, I shared a post on Instagram paying tribute to the two women who have most shaped who I am. My Grama was the type of person everyone loved; she treated everyone with kindness and respect, and her inherent goodness radiated through her dazzling smile. Everyone who met her loved her. My mum is the same way; she makes friends wherever she goes, and people are drawn to her. Among countless other valuable life lessons, these two women taught me about kindness, strength, following your dreams, and never giving up. All of this has made me think about the lasting impression we can have, sometimes without even realizing it. How one encounter or a handful of encounters or a lifetime with someone can shape who you are or change your life. I’ve mentioned before how I’m making big changes in my life this year, changes regarding my mindset, my mental and physical health, living with joy, and much more. I’ve been gravitating toward like-minded people, those who encourage others to live with intention and to discover their purpose or their ‘why’. These things have been on my mind a lot lately, coming up again and again during meditation and through journaling. And it’s led me to wonder a few things: How do people see me? How do I want to be known? What kind of impression do I want to leave? How can I leave a lasting, positive impression? How can I help people? I already have a good sense of my purpose in life (something I’ll likely talk about in future posts), and I’m learning to live in service to that purpose with intention and joy. I'm also learning to make positive changes and improvements to become the best person I can be. When I think of the two women who helped shape who I am, and of Luke Perry and the legacy he left behind, several common things come up: Kindness. Humour. Wisdom. Honesty. Integrity. All traits I admire and try to embody. All traits I hope to be known for. I want to make a point of adding here, when I say thinking about ‘how people see me’, I don’t mean that I allow other people’s opinions or judgments to influence me. Some people live their lives worrying about what other people think and changing who they are to fit certain labels or adhere to society’s norms. That’s not what I’m talking about here. I mean consciously making changes that feel right to you in order to be the type of person others look up to and admire, someone who inspires people, someone who leaves others better or happier or more enlightened than they were before. Some people possess enough self-awareness that they already know they’re leaving an impact and doing good. Their relationships are strong and healthy and they’re confident in who they are and what they’re doing. 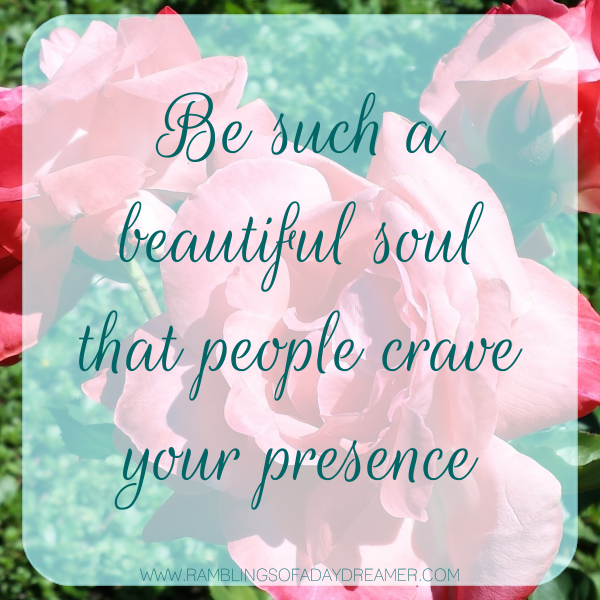 For others, it might take some soul searching. If you’re not sure, start by thinking of the people you admire most and the traits they embody. How can you be more like them while remaining your true, authentic self? Digging deeper, I think the easiest way to figure out what you want and who you want to be is to first address what you don’t want and who you don’t want to be. Think of the people around you, both in your everyday life and on social media. We likely all have some of *those people* in our lives who do nothing but complain. People who are incredibly negative, confrontational, passive-aggressive, play the victim, don’t take responsibility for any of their actions, make endless excuses, brag constantly, take joy in saying offensive things, and the list goes on. Do you just know those people or are you, perhaps, one of them? If you can definitively say you’re not one of them, chances are you can also definitively say you don’t want to be one of them. That’s a good place to start. Some questions to ask yourself: If asked to describe me in a completely honest way, what would the people closest to me say about me? Am I a good friend/partner/sibling, etc? Do I check in regularly? Do I make an effort? Do I initiate contact and get-togethers or leave it up to them? Am I supportive and encouraging? Do I show gratitude? Do I take them for granted? Do I use them? Am I providing value in their life? Do I get upset with them easily? Do I take my anger and frustrations out on them? Am I someone people can talk to openly and honestly? Am I trustworthy? Do I follow through with the things I say I’m going to do? Do I only ever talk about myself and my life/problems/plans? Do I make time for others freely and willingly or only when it’s convenient for me? Do I hold grudges and hold onto bitterness and resentment? Am I petty or jealous? Am I dependable and reliable? Do people know they can count on me? If some of these questions bring up negative answers or emotions for you, that’s okay. The important thing is acknowledging and addressing those issues. The beautiful thing about life is it’s never too late to change. You can take responsibility for your actions and behavior and change your life at any moment. It’s a process and it certainly doesn’t happen overnight, but with some adjustments in your attitude and mindset, anything is possible. You can be whoever you want to be. You can’t control how people see you, but you can control your actions, which might help people see you in a different way. Something that has really affected my own actions recently is being put in the position of being a role model. I have nephews and nieces, and I’ve always tried to be a good example for them, but lately my five-year-old niece is my shadow. Wherever I am, she’s there too; whatever I’m doing, she’s doing it too; whatever I say, she says it too; whatever I’m interested in, she’s interested in it too. The way she admires me, copies me, and looks up to me has made me extremely aware of the power I have to influence and shape her. So I make sure to teach her about being true to herself. I make sure to praise her wonderful attributes, like her intelligence, her humour, her kindness, and her generosity. It’s a really weighty responsibility, and it’s one I take seriously because I know how important those early years are and what an impact I can have on her growing mind. Someday I want her and her brothers to talk about me the way I talk about my mum and Grama. I want the people in my life to think of me with a smile on their face. I want the people who follow me online to feel like I’m providing value and being authentic, and I want them to feel inspired, uplifted, hopeful, and like they’ve learned something. 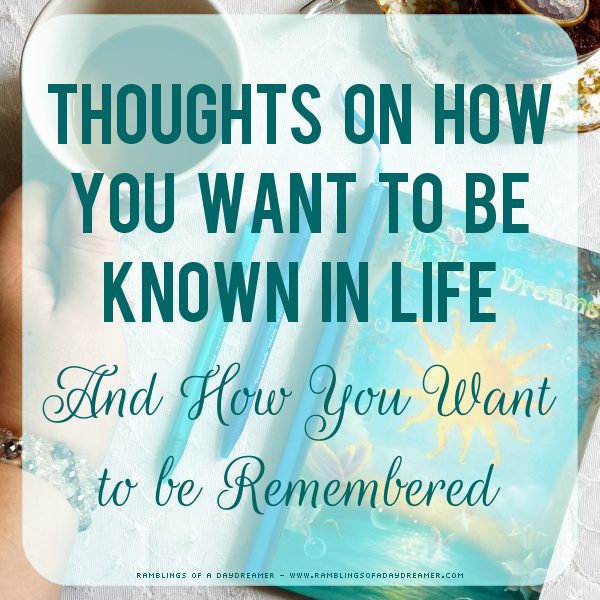 How do you want to be known? 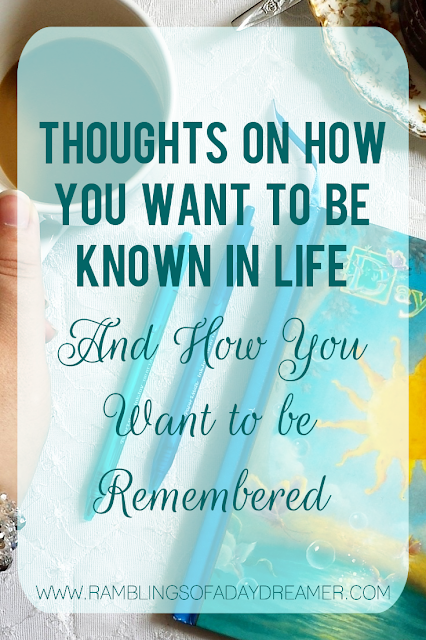 When other people think of you, what do you hope they think? When you’re gone, how do you wish to be remembered?